A recent study, published in the journal Conservation Biology, reveals that the investments and resources allotted for conservation only partially tally with the levels of biodiversity in the European Union. Thus, countries such as Portugal, Slovakia, Greece and the Czech Republic receive less funding than they would be entitled to as per their biodiversity. Researchers from the University of Castile-La Mancha, the University of New York (USA), the National Museum of Natural History, the University of Alcalá and the University of Helsinki (Finland) have analysed the correlations and inconsistencies between investments in conservation and the levels of biodiversity in the European Union. "Due to the large spatial variation in the distribution of biodiversity and conservation needs on a continental scale, the instruments of the EU should guarantee that countries with greater levels of biodiversity obtain more funding and resources for conservation than other countries with lower levels," SINC was told by David Sánchez Fernández, expert from the University of Castile-La Mancha and co-author of the joint study published by the journal Conservation Biology. For each of the member states, the study compares three indicators measuring investment in conservation (the funds received through LIFE projects, the area protected by the Natura 2000 network, and the area destined for agri-environmental measures), with three other indicators measuring the level of biodiversity -total richness of species, endemic species and species of communal interest- for eight different taxonomic groups: vascular plants, bryophytes, birds, mammals, amphibians, reptiles, continental fish, orthoptera and dragonflies. In general, there is quite a close relationship between the investments in conservation and the biodiversity variables. Nevertheless, some disparities were found in countries which receive more or less investments than expected according to their levels of biodiversity. For example, countries such as Portugal, Slovakia, Greece and the Czech Republic receive less funding than that which they would be entitled to in light of the biodiversity that they harbour, while the opposite is the case for countries such as the United Kingdom and Germany. "Spain is, together with Italy, the country with the richest biodiversity in Europe and it also has lots of funding and resources. To be specific, it is the country with the greatest Natura 2000 network area and that which receives the most funding from LIFE projects. However, the amount of money for agri-environmental measures is somewhat less than what it should be in terms of its levels of biodiversity," explains Sánchez Fernández. The two main European directives on conservation -the Birds Directive and the Habitats Directive- are those which indicate the main species to protect.. The issue lies in that the majority of species do not feature in these 'select' lists of species, particularly the lists of the groups representing most of the biodiversity, that is to say non-vascular plants and above all, invertebrates. "In short, the funding and resources go on a minority of species," the expert adds. Another interesting result apparent from the study is that the extensive use of birds as unique indicators of the effectiveness of conservation can be unreliable, since the correlations between biodiversity and investment are greater than for the rest of the taxonomic groups studied. In addition, bird species and their distributions are relatively well known, which means that they are used as the main group in the majority of conservation actions. "They are, without doubt, the stars of conservation biology. This group has the most academics and enthusiasts. However, this does not imply that birds are good indicators of biodiversity. In other words, we are not able to get an idea of the patterns or threat of other taxonomic groups simply through studying birds," the researcher notes. 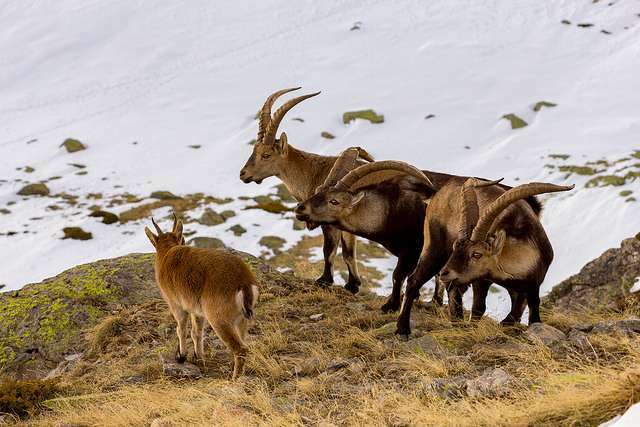 According to scientists, these results could be useful within the framework of the new biodiversity strategy to 2020 adopted by the European Commission, in which it is hoped that member states might favour a more efficient redistribution of funding for conservation.